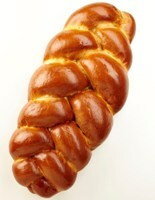 Challah, or Egg Bread as it's often called, makes excellent French Toast and sandwiches. We make ours with pure, natural ingredients. From Anonymous of Lodi, California on 12/23/2017 .